I'm not a coffee or tea drinker. 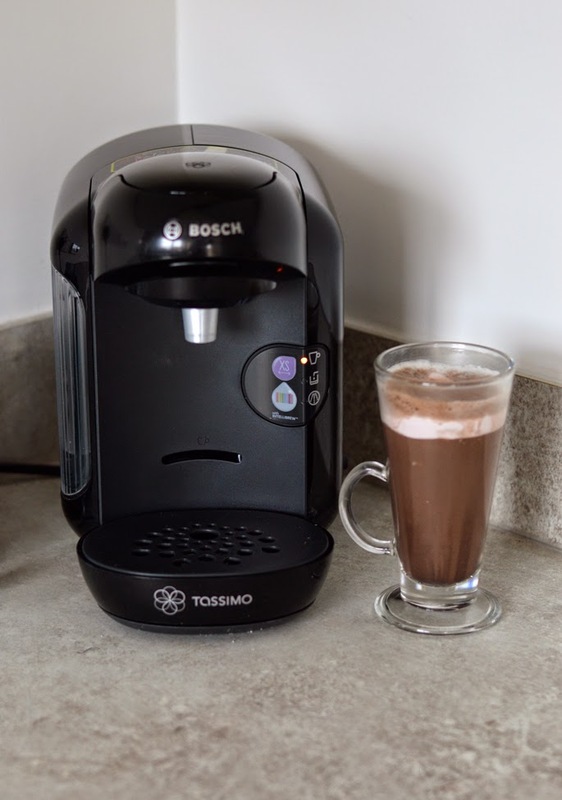 My favourite hot drink is hot chocolate with marshmallows, particularly from Costa Coffee, here in the UK. Homemade hot chocolate has always been a complete fail for me. I have tried almost every brand - products mixed with water and milk and I can never achieve the shop bought taste of a hot choc with mallows. 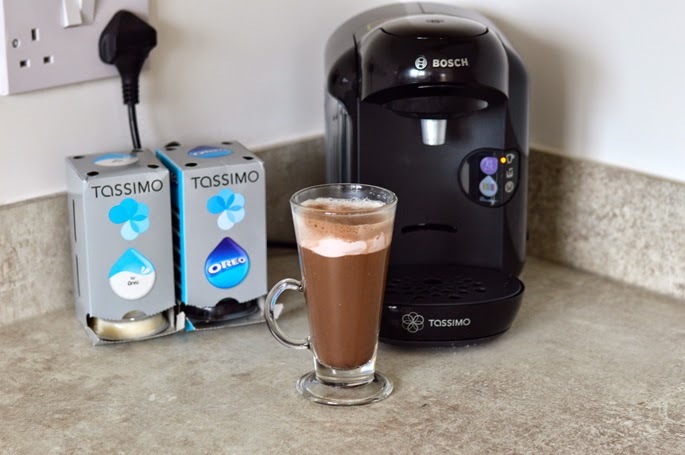 Then I came across the Tassimo Vivy, a hot drinks machine that not only comes with all sorts of coffee pods but also a range of hot chocolate pods. I had to try it!! 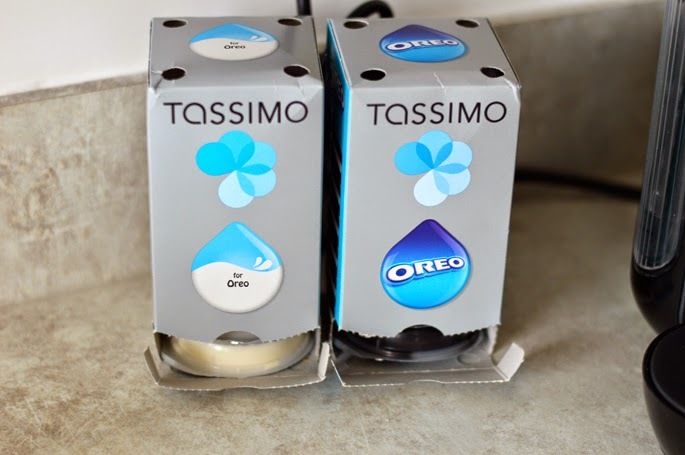 Being a huge fan of Oreo, I had to try the Oreo cookie drink pods. Above are the results. I popped a few marshmallows on top and it was delish!! I was very happy with the results and how easy the machine was to use. 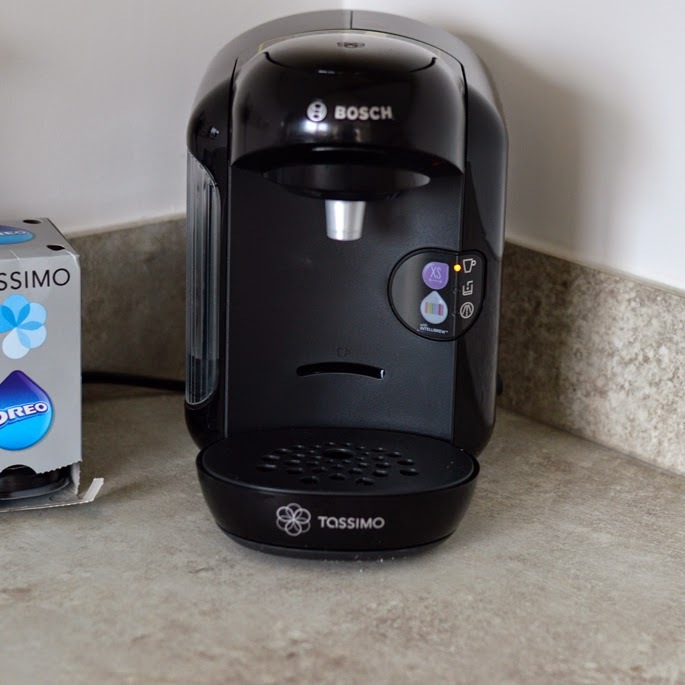 Each pod has its own distinct barcode that the machine reads and applies the appropriate pressure. 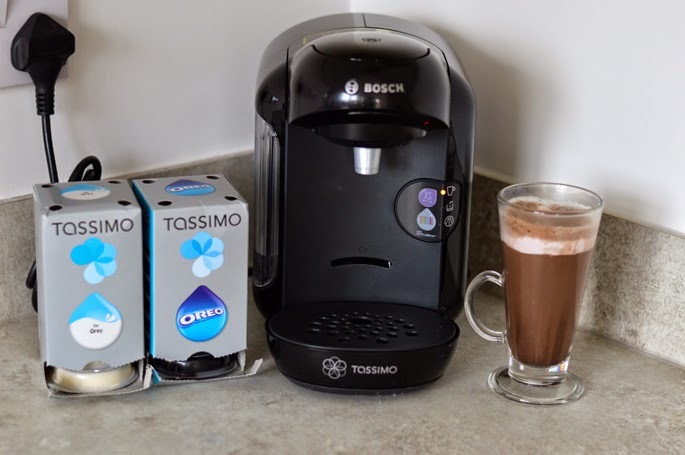 I have yet to try the other pods which include Cadbury and Milka hot chocolate :) Cant wait! !